Walk to the Chondola! This newly remodeled home (2014) is perfectly located in the quiet Boulders subdivision near the foot of the ski area. 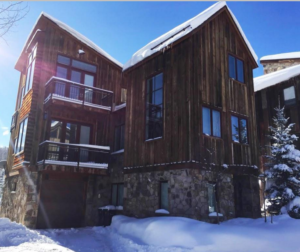 Gorgeously remodeled with craftsman attention to details and million dollar Mountain views! Wide plank hardwood flooring with radiant heating throughout, carrera marble counters in kitchen and master bath, stainless steel Viking gas range, Bosch dishwasher, stainless steel Kitchenaide refrigerator. 4 decks for plenty of outdoor living and relaxing and playground just out the back door for the kids (not to mention for the adults too as the Chondola & Sunshine express are also only steps away)! Other details include Master bedroom walk-in closet, 1-car heated garage, Digital Nest thermostats, soft-close cabinet drawers. No deed restrictions.